Two athletes from the TRU swim team dove back into the water this past weekend, competing at the Western Canadian Open in Winnipeg. Greg Petersen and Jagdeesh Uppal went to the competition in Winnipeg hoping to record times that would be fast enough to qualify them for a spot in the Canadian Interuniversity Sport (CIS) swim championships that take place in Laval, Que. from Feb. 26 to 28. The competition was open to swimmers from both club and university teams, and with both athletes competing in the open age group category they were in the pool doing battle with some of the elite swimmers in Canada. Many of the swimmers in the competition have Pan-Am or Olympic games experience, or were using this competition to try and prove that they belong on the Canadian team that will head to Rio de Janeiro for the Olympics this summer. Despite not being able to record the times quick enough to qualify for the premier event of Canadian university swimming, both athletes posted some positive results throughout the competition, including setting multiple personal best times. One of the keys to succeeding in athletics is being able to achieve peak performance at just the right time and Petersen was on fire in the pool all weekend long. 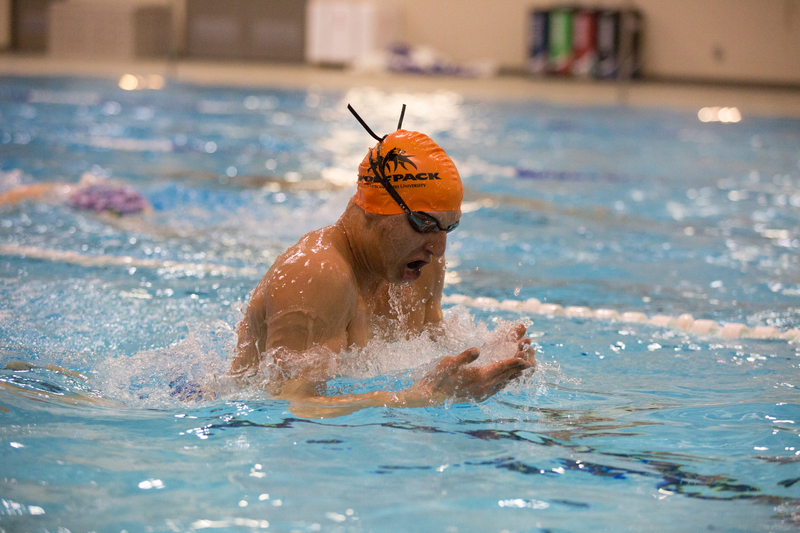 The swimmer from Kamloops achieved personal best times in every single one of the events that he competed in. His best results came when he finished 10th overall in the 200-metre breaststroke event coming across the line second in the “B” final with a time of 2:29.57. Petersen also qualified for the “B” final in the 50-metre fly event, where he finished sixth and 14th overall with a time of 26.55 seconds. Uppal, who, like Petersen, attended Sa-Hali Secondary, had his best result of the weekend in the 200-metre breaststroke. He finished in 21st place with a time of 2:39.73. Uppal also competed in the 50- and 100-metre breaststroke events. Uppal achieved personal best times in two of his three events. Overall the team of two managed to score enough points to finish 43rd out of 54 in the team competition. While the goal of qualifying for the CIS nationals may have proven to be a little bit too much for the athletes from TRU to achieve this year, the knowledge that they can swim their best when it matters the most is sure to add fuel to their competitive fire as they continue their swimming careers. The two swimmers will now return to Kamloops, where, despite their CIS season coming to an end, they will continue to work in the pool with preparations for the B.C. Open. That event will take place March 12-13.